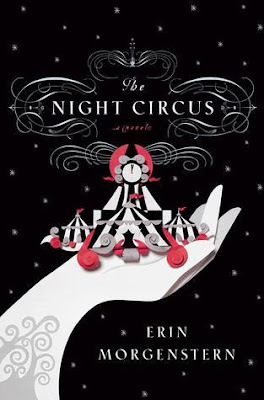 The Night Circus by Erin Morgenstern was one of those books that had been on my shelf for too long, and had been on my TBR even longer, before I finally had the chance to read it. I’d been meaning to read it for quite a while, but I always let other books get in the way of actually reading it. While I was making my Fall TBR list this past summer, The Night Circus found its way onto the list, not only because I was absolutely determined to finally read it, but also because I was told that it was great to read during the Fall season, so that’s what I did. I’m SO glad to have finally read this book, and I’m totally kicking myself for not reading it sooner, because I absolutely loved it! There are so many things in this story to love, including the characters, which were many, but all of which were unique. Celia and Marco were two of my particular favorites, and I love how their lives entwined as the story went along. The storyline for the book was unique and the writing completely drew my full attention as I turned the pages. I’ve read quite a few books over the years, and I can’t say that I’ve read anything like this book before, and I absolutely loved it. Though I have the book sitting on my bookshelf, I opted to listen to the audiobook, and I’m so glad I did. The audio is narrated by Jim Dale, who I absolutely love, and who also narrates the Harry Potter series, which I happen to be listening to at the moment as well. His voice felt familiar and lyrical as he read me The Night Circus, and I couldn’t have asked for a better first experience for reading this book. I absolutely can’t wait to read it again, and hopefully soon! Overall; I was told that I would just love The Night Circus, and I totally did! I really wish I would have read this book sooner, but I’m thrilled that I finally found time to read it regardless. I loved it, and it’s definitely going to be a book that I re-read very often. If you haven’t yet checked the book out, I highly recommend that you do so! I'm so glad to hear you liked it! The Night Circus is one of my all time faves!